So, what is there to do? 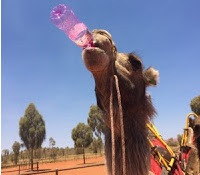 This trip will give you the chance to truly experience the real Australia! This side of Australia is something you really need to indulge in. Whether you want to learn about the Aboriginal culture and history, or take a hike through the desert to uncover some of the beautiful untouched outback, there's something for everyone. 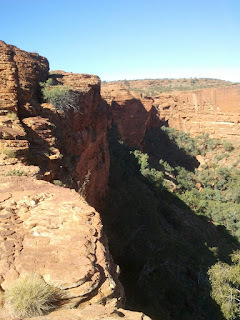 However, when in the Red Centre there are a few must do's! 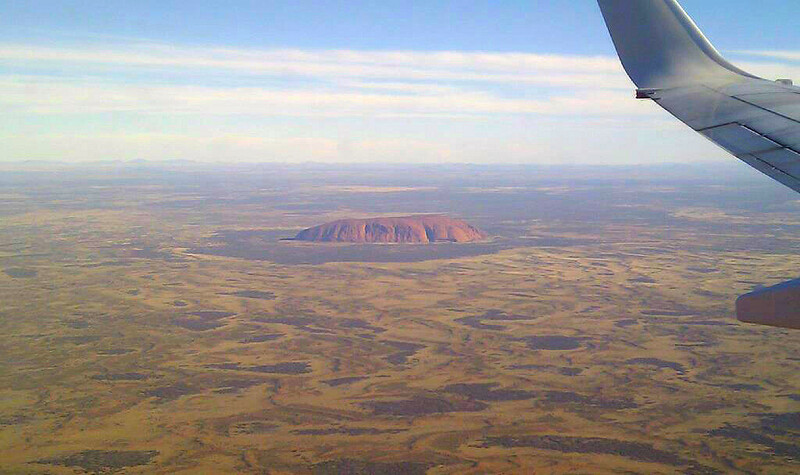 By far the most famous is paying a visit to Uluru (or Ayers Rock). Situated in the World Heritage listed Kata Tjuta National Park, Uluru is an incredibly imposing sight. The burnt orange colouring is stunning, and makes for an incredible photo op! But more importantly, there are some fantastic treks which you can take around the base of Uluru to get up close and personal with this iconic Australian landform. Some of the treks can take a few hours, or you can chose a shorter one to suit your fitness level and timeframe. Be sure to take the time to simply enjoy some of natures most wonderful work, and to read all the information boards as they provide an excellent background to some of Australia's most interesting history. Incredibly, Uluru has a number of waterfall's cascading off of it, forming gorgeous waterholes nestled into its base. In the middle of the desert this wasn't something I was expecting to see! For international visitors you'll also get to enjoy visits from an array of Aussie animals who call the National Park home. On your way back (or at the start of your trip) be sure to stop by the Cultural Centre and learn a bit about Aboriginal history, including dream time stories about the formation of Uluru and the traditional way of life. You can also pick up some amazing hand-crafted Aboriginal artworks and gifts as a reminder. 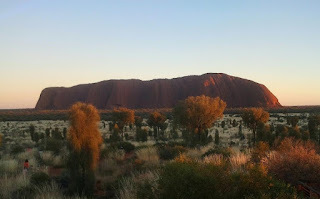 Note: Although not prohibited, the Aboriginal people request that visitor's do not climb Uluru as it is a sacred part of their culture. 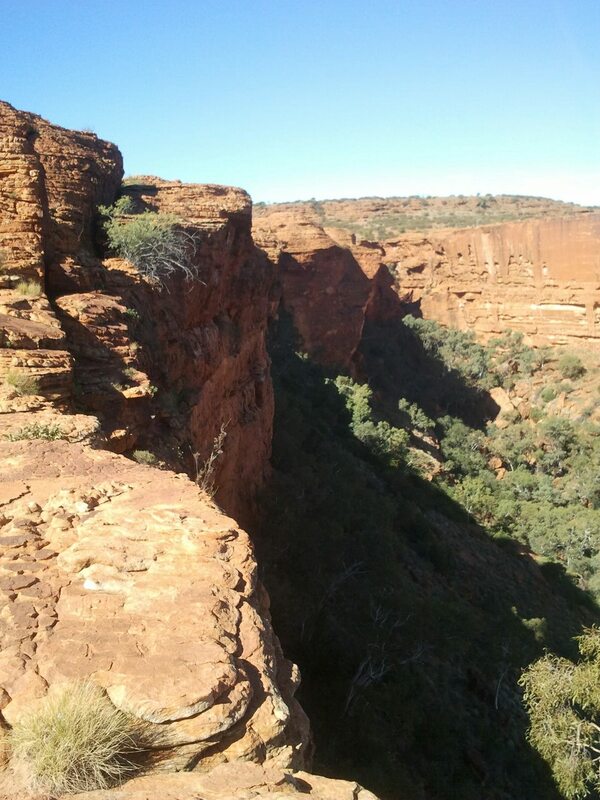 If you want to hike and climb to see an amazing view of the Red Centre, there are two options: the Olga's and King's Canyon. The Olga's are also located in the Kata Tjuta National Park, and are again very impressive! If you'd like to see the amazing view, the Valley of the Winds walk is just over 7km's and will take about 3-4 hours (I didn't have the time to do this one unfortunately). There are plenty of other day and night trips to experience if the hikes are not for you. Both the Olga's and Uluru have evening tours where you can relax with a glass of wine and some nibbles as you watch the sun set over these incredible landforms. If you're feeling adventurous, book a sunrise camel ride with Uluru Camel Tours to see dawn break over Uluru and Kata Tjuta. This tour company is multi-award winning and supports local and regional businesses and environmental sustainability (winner!). Definitely one of the most amazing experiences trekking through the desert and bushland to watch the sunrise on my last day on-board my beautiful camel. Highly recommended! Also check out my Guide to Aussie Slang if you really want to kick it with the locals!